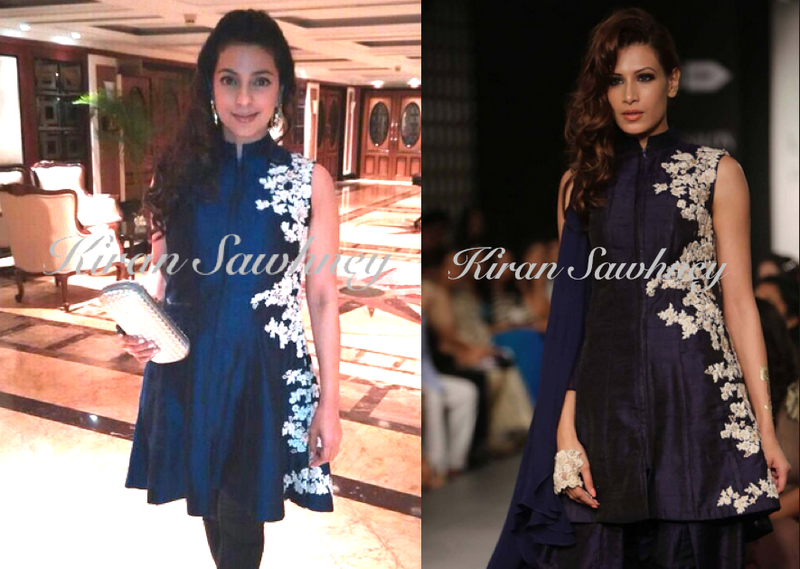 Juhi Chawla was spotted at Jamuna Pai's book launch wearing Ridhi Mehra's outfit. She paired her blue and white flared tunic with cigarette pants. She accessorized with gold cuff, gold earrings and gold Bottega Veneta clutch. She finished the look with black peep toe pumps. She looked lovely and we love this look- Simple, sweet, the one that touched our heart.